Gov. Greg Abbott once again appointed a prominent banker to lead the Hidalgo County Regional Mobility Authority board. 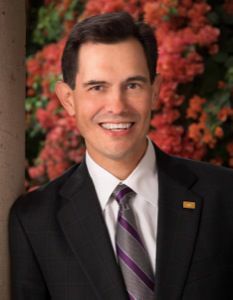 S. David Deanda Jr., president of Lone Star National Bank, will continue to serve as chairman of the HCRMA, a political subdivision formed to finance, acquire, design, construct, operate, maintain, expand or extend transportation projects. Abbott first tapped Deanda to serve two years ago. His term expired in February, triggering another reappointment Monday. His second term will expire in February 2020. The Mission resident is an active member of the community and serves on several boards, including Doctors Hospital at Renaissance, Mission Economic Development Corporation, McAllen Economic Development Corporation and the Valley Alliance of Mentors for Opportunities and Scholarships, or VAMOS. Deanda, who received a Bachelor of Business Administration from Texas A&I University and studied at the Bank Operations Institute at East Texas State University, also formerly served as a board member for the Food Bank of the Rio Grande Valley Inc. He also attended the Southwestern Graduate School of Banking at Southern Methodist University. This story has been updated to reflect the Hidalgo County Regional Mobility Authority is a political subdivision formed to finance, acquire, design, construct, operate, maintain, expand or extend transportation projects.